6 Nations season is rolling around again and that means only one thing: which away games are you going to? 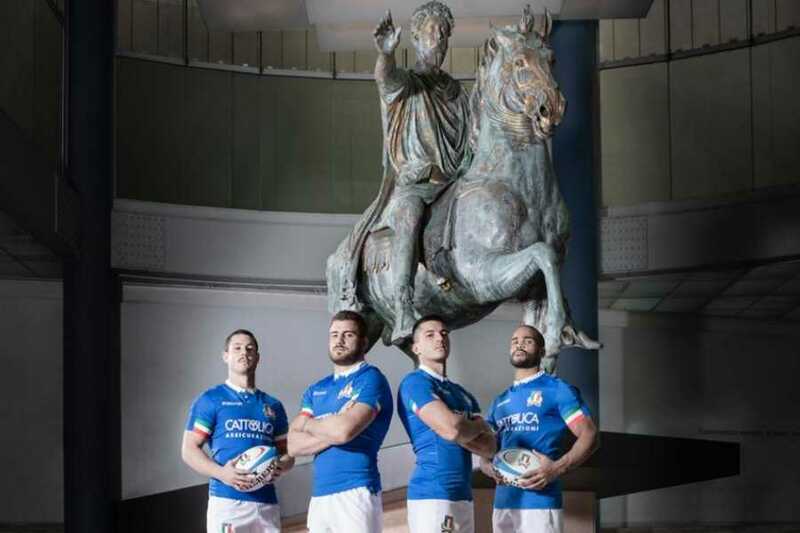 Well for Welsh and Irish fans of the game, they have the opportunity to head to Rome off-season to enjoy the match and maybe squeeze in a bit of culture. With certain Irish airlines raising flight prices by 280% for the weekend of the 6 Nations games its important to know how to make the most of your time in Rome. Many of Romes museums are free for ticket holders (List of free museums here) and The Rogue Historians are offering a 25% discount on all tours over the two weekends. Apart from all the cultural gems of the city, come kick-off you will need to know the best rugby bars in Rome. So without further hesitation here are The Rogue Historian’s five favourite bars for 6 Nations weekends. Located just around the corner from Piazza Navona, don’t be surprised if you find a Rogue Historian or two in the Abbey, this is our home bar after all. Our name was born here after a long night of drinking, and Natasha behind the bar designed our bearded logo that is still in use today. The front bar is the place to be but the restaurant out back is always bouncing on big weekends. Mike on the main bar during the day is an institution in his own right, after running numerous pubs back in Dublin he can now be found propping up the wrong side of the bar most days and always creates a great atmosphere for a good day time session. Owned by Declan Crean and Celestino Cucchiarelli, Scholars can hold claim to being the most famous pub in Italy. It was the winner of a Gold medal from the Irish Whiskey Awards in 2015 and in 2016 was voted Europe’s best Irish pub at a ceremony at the Mansion House in Dublin. Situated right next door to the Piazza Venezia and the Vittoriano monument, Scholars is probably the most centrally located bar in Rome. It is the largest Irish pub in Rome, spread over two rooms and two floors with multiple screens throughout. With the largest collection of whiskeys in Italy and a huge array of beers on tap there is bound to be something for everyone, and with Martin Castrogiovanni among the regulars, its rugby pedigree is hard to argue with. Located in the far corner of Campo Di Fiori, the Drunken Ship is a regular hangout of local rugby players thanks in no small part to the popularity of Irish barman and rugby player Dave Houston. Dave has played Rugby for over a decade in Italy now, and whichever bar he works in seems to become a mecca for the local players. Guaranteed to be a good atmosphere no matter what the result since the Italians are used to getting a good hammering anyway. With plenty of outdoor space and screens indoors and out The Drunken Ship could be the perfect spot if the February weather holds. Located a stones throw from the Roman Forum, Finnegans is always jammed with a mix of locals and foreigners. Finnegans is a popular haunt for many of the tour guides in the city due to its proximity to the Forum where so many of us finish our days in desperate search of the black stuff. Staff are always friendly and there is even a pool table in the back, a rare find in Rome these days. Probably the smallest of the bars we recommend so make sure to head there early for the games. This one’s a bit of a cheat as we are lumping two bars into one. Shamrock pub and Shamrock Irish pub are less than five minutes away from each other. One is located just south-east of the Colosseum and the other north-west of the Colosseum. Most of the year this pub wouldn’t make our list of top bars in Rome but during the 6 Nations this all changes and the Shamrock becomes one of our favourite places to hang out in the city, and who doesn’t want to stumble out of the bar at 2am to be greeted by the brightly illuminated site of the Colosseum? This one is a wild card as at the time of writing this pub has only been open 1 day. The pub is located in between the Abbey and Scholars creating a nice straight line of rugby-centric bars and is the brainchild of three well-known names from the Italian rugby world: Claudio Perruzza, Fabio Ongaro and Salvatore Perugini. Originally we were sad to hear of its opening as it is replacing The Perfect Bun one of our favourite burger joints in the city, but with an emphasis on craft beers, pub food, rugby and a closing time we are fully behind this venture to be a huge success. Especially since opening 3 days before the start of the 6 Nations the entire Italian rugby team turned out for the grand opening. 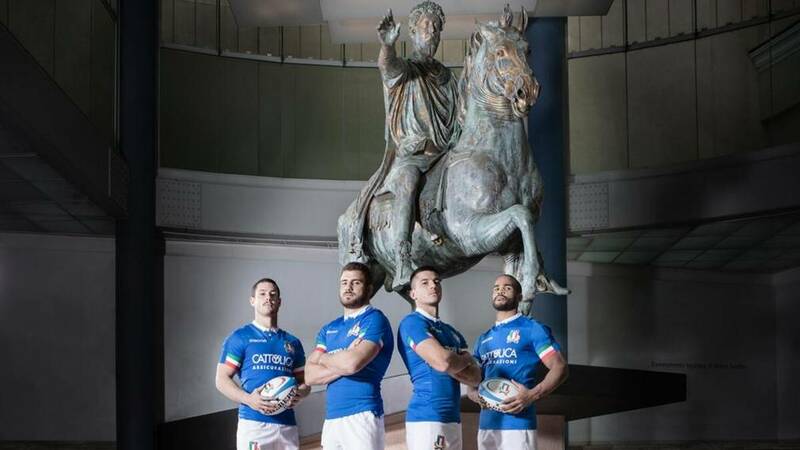 Don’t forget that 6 Nations ticket holders get free entry into a whole host of the city’s museums, including the Capitoline and the Doria Pamphilji, so be sure to get some culture in between drinking sessions, or maybe even go the whole way and book a tour of the Vatican or Colosseum with the Rogue Historians.